The revelation that DNA chemically self-assembles to build life was a game changer. 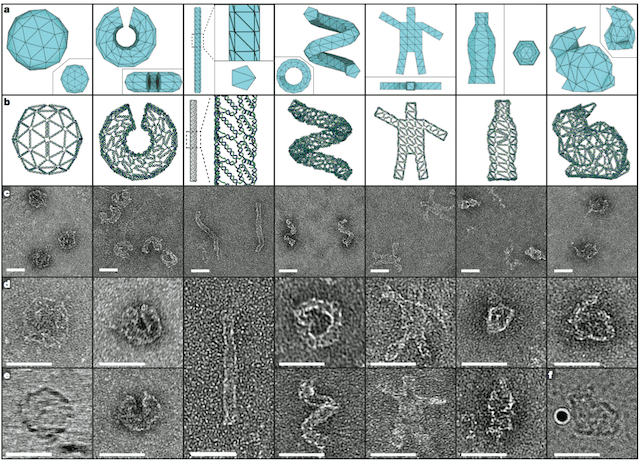 Now, DNA’s self-assembly capability is moving past genetics and into structural mechanics. 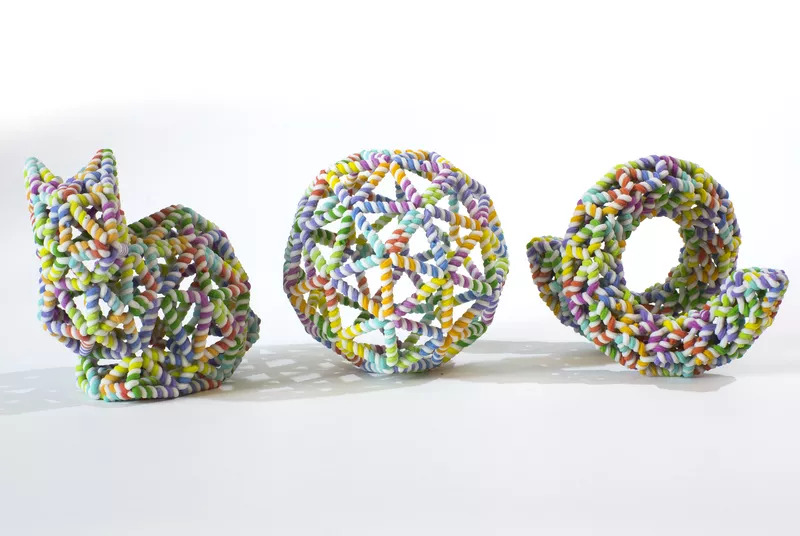 One of the most astonishing demonstrations involves an automated process which basically 3D prints structures made out of DNA, of all shapes and sizes. For instance, the team at Dresden University of Technology built tiny 3d objects like a bunny, a bottle or even a waving humanoid. The base pairs that make up a DNA double helix can be envisioned like Lego bricks. These are made out of nucleotide bases Adenine (A), Guanine (G), Cytosine (C), and Thymine (T). A base pair is one of the pairs A-T or C-G, and the nucleotides in a base pair are complementary which means their shape allows them to bond together with hydrogen bonds. By combining these pairs in certain ways you can end up with predictable shapes. It’s all a matter of putting the pairs in the right order and offering the right chemical and physical conditions, particularly temperature. Now, this isn’t exactly new. ZME Science has previously reported a couple of attempts made by scientists which involved building various shapes or even drug delivery capsules from DNA. This most recent study, however, moves DNA origami to the next level because it’s automated. First, the researchers draw a 2D or 3D shape in a design software. The computer then returns a long code complete with necessary sequences of base pairs for the DNA to self-assemble in the desired configuration. This code is then sent to a supplier which delivers tubes filled with 200 or so short strands of DNA. Warming and cooling the tubes, joined together, prompts their contents to assemble – a new bunny is born. “All the DNA strands find their right place in the structure,” says Björn Högberg, a chemical engineer at the Karolinska Institute in Sweden and a co-author of the study. Another thing that’s impressive about the new study is the intricacy of the shapes. Previous DNA origami attempts were somewhat limited in the shapes they could assemble. The most intricate shape assembled in this recent study was an Archimedean solid cuboctahedron which has 12 vertices and 24 edges. As long as no vertex requires more than 10 strands to join at any point, any wireframe structure can be assembled using this technique. This opens up a slew of possibilities. 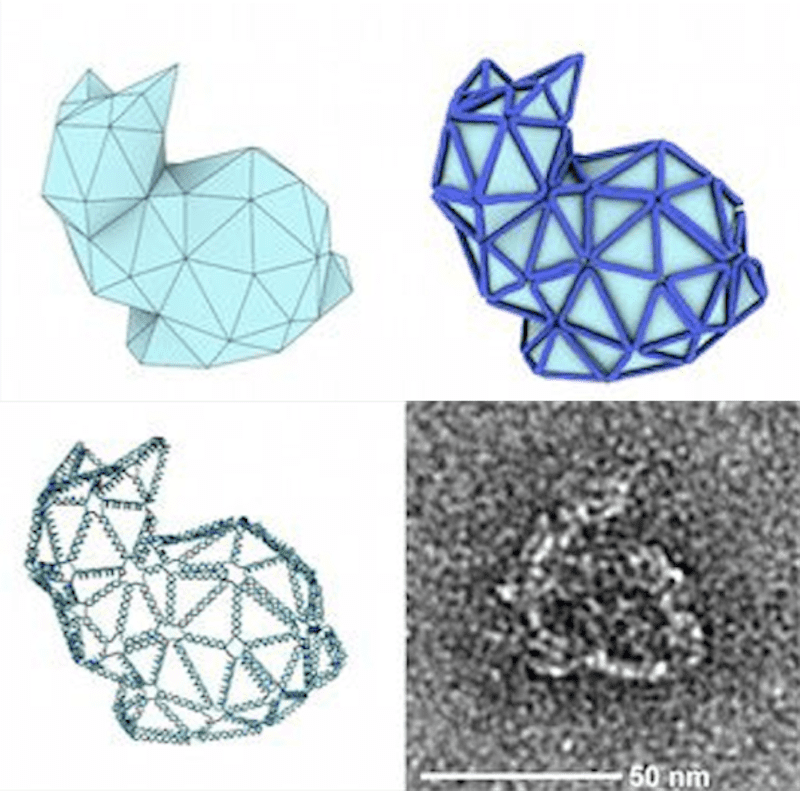 Imagine designing whole new macrosized objects from the ground up, at the molecular level. The degree of precision would be unparalleled. The greatest benefit would most likely be felt in new kind of medical devices and drug delivery methods, all custom fitted for the patient.